Sam Gilbert is a sailor, pilot, engineer, security professional, and radio guy. He’s also a writer with a lifelong passion for the study of history and spiritualism. 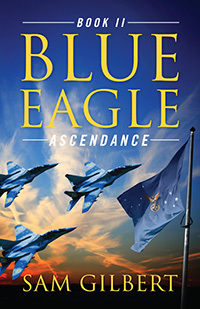 Ascendance is Gilbert’s fourth book, and the second installment of the BLUE EAGLE series, where he continues to share his knowledge of his professions and passions, his vocations and beliefs. Can the BLUE EAGLE Survive?